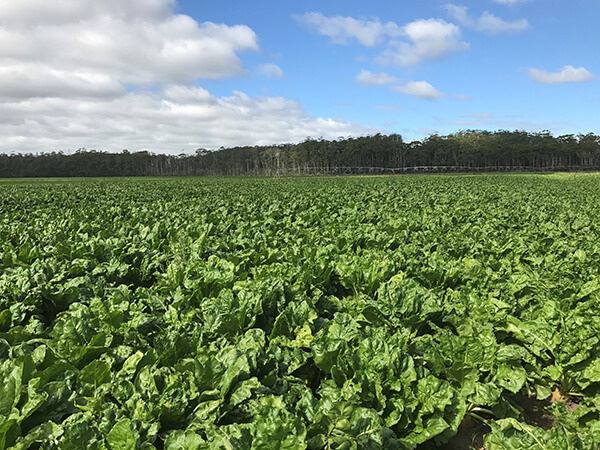 Fodder Beet, a cross between mangels and sugar beet, is potentially the highest yielding winter forage options available to farmers currently. It is an attractive option with its palatability, digestibility and very good disease tolerance. It aims to combine the ease of harvest of mangels with the high dry mater yields and high sugar levels of sugar beet. It is a long growing-season crop which requires a high level of care in establishment. Farmers who grow fodder beet use a precision drill to ensure the plants are evenly spaced in rows ready for harvesting. When drilling like this, pelleted seed is required to fit the drill cups. High yield potential (20 t DM/ha+), so you need less land to winter the same number of animals. High ME value (12-13 MJ ME/kg DM) and utilisation (typically 90%), for improved animal performance. Relatively low cost c/kg DM at high yields. Unaffected by most brassica diseases. 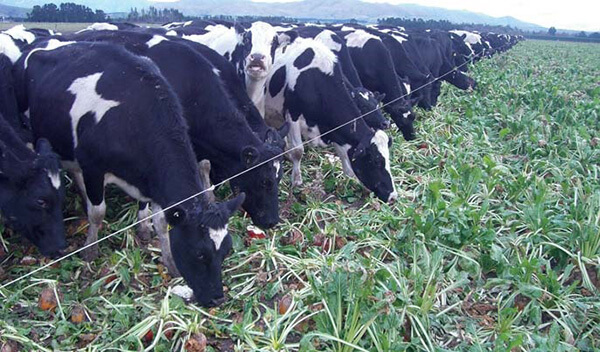 It's important to select the correct fodder beet variety to fit your farms requirements. 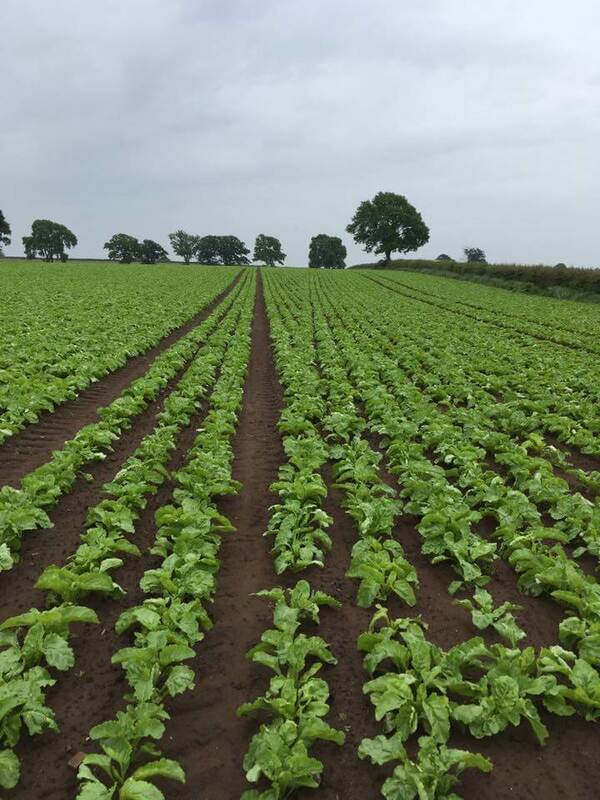 Our range of Fodder Beet varieties have been bred to be grazed in-situ, or be lifted and fed whole or chopped. Fodder beet yield is very difficult to correctly estimate! For an accurate assessment at least 8 separate yield measurements are required per paddock, including a dry matter % analysis. Betimo Fodder Beet is a medium dry matter content, mono-germ fodder beet with large red tankard shaped bulbs. It has improved disease tolerance giving more clean, green leaf. It has good bolting tolerance and can be grazed in-situ, or be lifted and fed whole or chopped. 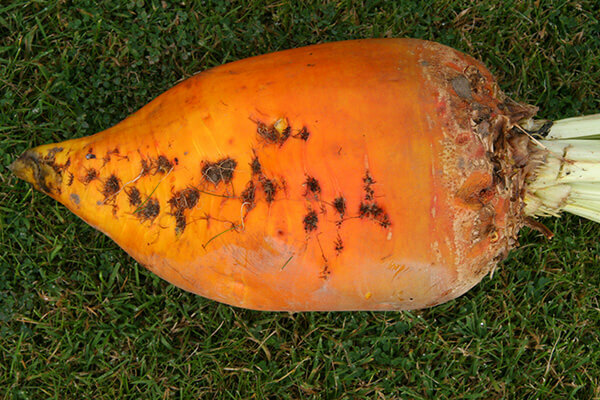 Lactimo Fodder Beet is a very high yielding monogerm fodder beet which has a yellow – orange tankard shaped bulb that sits 45-50% above the ground. It has good seedling vigour and strong foliar growth producing very big tops with very good disease and bolting resistance. The crop can be grazed in-situ, or be lifted and fed whole or chopped. 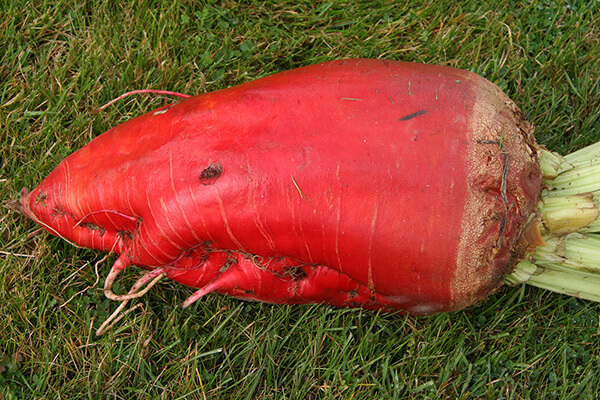 Fortimo is a high yielding, mono-germ fodder beet which has a large red tankard shaped bulb that sits approximately 45% above the ground. It has strong cool season growth and clean, dark green leaves with very good disease tolerance, giving excellent performance. Fortimo has a medium dry matter content bulb at approximately 14-16% DM. The crop can be grazed insitu, or be lifted and fed whole or chopped. Geronimo is a newly released mono-germ fodder beet originating from France. It has a yellow – orange tankard shaped bulb that sits approximately 45% above the ground. It is a high yielding variety with medium dry matter content at 15-17% DM, with very good tolerance to the diseases Rhizomania, Ramularia and Mildew. The crop can be grazed in-situ, or be lifted and fed whole or chopped.